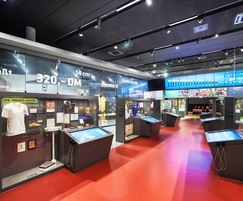 Wilo-Stratos pumps were used for heating and cooling applications at the German Football Museum in Dortmund. 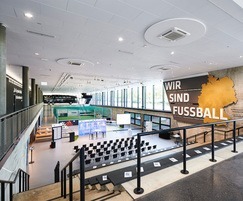 The air conditioning requirements of the building were diverse, including a glazed frontage that needed to be kept clear at all times, and a range of different rooms and areas with a variety of functions. 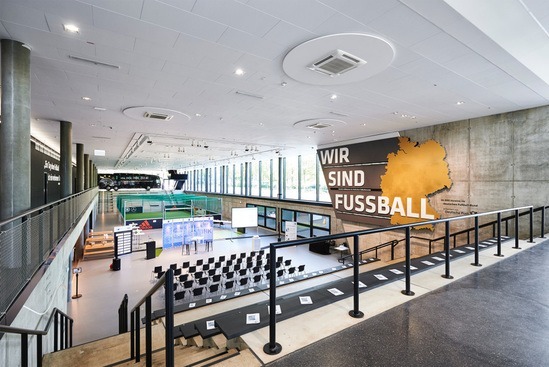 Visitors needed a comfortable ambient temperature at all times in the exhibition spaces, as well as in the event spaces and catering locations. 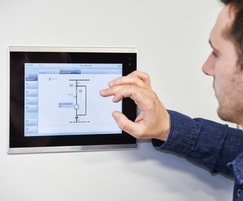 Wilo pumps are controlled by the building management system to provide heating or cooling in the museum's areas. 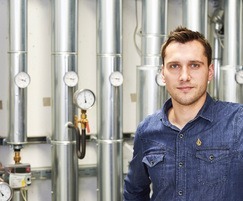 Energy for heating is delivered by a 400kW district heating connection. Cool air is generated by two cold water chillers, each with 300kW power. To save energy, they are connected to a cooling battery with direct evaporation. The ventilation system is also fitted with an adiabatic cooling system. Warm and cold air is distributed by separate systems and supplemented by surface temperature control, trench heaters or radiators. 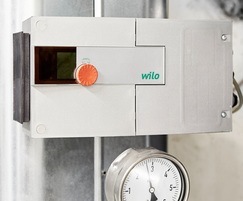 The heating and cooling circuits are controlled by the BMS, which also regulates the WIlo-Stratos circulating pumps for each circuit. The integration of the pumps into the BMS is a critical part of the success of the museum's air conditioning system. The preset heating and cooling programmes can be easily modified depending on external climatic conditions and the current usage requirements of the building and its individual areas.